Richard CHARL&#039;S dam ranks No. 2 NM$ Cow! Richard CHARL'S dam ranks No. 2 NM$ Cow! 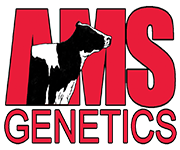 The Top 25 NM$ Cows (GP-80 or higher) in the U.S. has been posted! A GP-83 Cabriolet daughter tops the list with a GTPI+2798 and +1038NM$. Richard CHARL'S dam, HURTGENLEA YODER MODESTO VG-86 is the No. 2 high-ranking NM$ Cow in the U.S. scoring a GTPI+2790 and +994NM$!